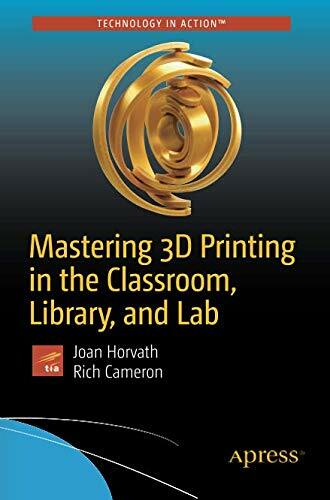 Take your existing programs to the next level with Mastering 3D Printing in the Classroom, Library, and Lab. Organized in a way that is readable and easy to understand, this book is your guide to the many technology options available now in both software and hardware, as well as a compendium of practical use cases and a discussion of how to create experiences that will align with curriculum standards. You’ll examine the whole range of working with a 3D printer, from purchase decision to curriculum design. Finally this book points you forward to the digital-fabrication future current students will face, discussing how key skills can be taught as cost-effectively as possible. Educators of all levels, both formal (classroom) and informal (after-school programs, libraries, museums).